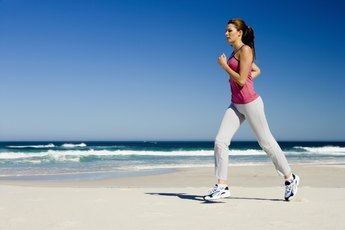 Walking or running outdoors provides fresh air, vitamin D and the chance to enjoy nature. 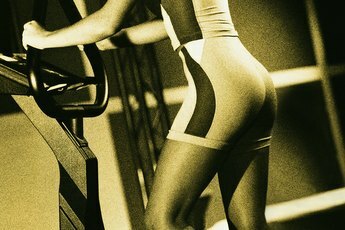 While a treadmill can be a helpful tool in your effort to become healthier, you can still get fit and lose weight just fine without one. Plenty of resources are available to you that do not depend on access to a treadmill. You will find that the path to weight loss, fitness and good health offers you far more latitude than any single piece of equipment can offer. Be willing to try new things and be creative to continually fuel your fire for wellness. Go outside for a walk, run or bicycle ride. You can achieve the same aerobic benefits from these exercises that you can from walking or running on the treadmill as long as you approach each one with the same level of effort that you would exert on the treadmill. A leisurely, hour-long bike-riding session at approximately 10 mph burns 292 calories for a 160-pound person, according to MayoClinic.com. Besides burning calories, you'll be raising your metabolism, lowering blood pressure and enjoying other aspects of becoming physically fit. Take an exercise class or work out along with a DVD. Either option gives you the opportunity to burn significant calories in your effort to lose weight and become fit. For instance, a 160-pound person can burn between 365 and 533 calories per hour of aerobics, depending on how vigorously you work out. Look for videos or classes that focus on cardiovascular fitness. Choose a variety of intensities in your classes or DVDs to keep your regimen dynamic so you will see results and remain inspired to continue striving for your fitness goals. Swim your way to fitness. If you have access to a swimming pool, there is no better way to begin your exercise program. Even if you do not know how to swim, you can attend a water fitness class or try aqua jogging, which is an effective simulation of land running that yields many of the same fitness and weight loss benefits. According to MayoClinic.com, one hour of water aerobics burns 402 calories for a 160-pound person. Monitor your food intake. More than half of weight loss happens with the food choices you make daily. Burning 300 calories through exercise may take approximately 30 minutes, while your choice to turn down something that exceeds your caloric allotment is something you can do in an instant. Choose vegetables, fruits, whole grains, lean meats, beans and seeds in the proper portions. Such a dietary approach will give you the best chance at achieving the caloric deficit that you need in order to lose weight and become fit. Exercise for 30 minutes five or six times per week, aiming for a total of at least 150 minutes each week at a moderate intensity or 75 minutes at a vigorous intensity. 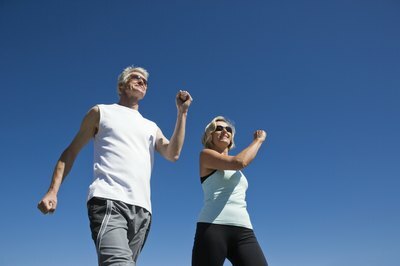 Significant weight loss may require more, according to MayoClinic.com. On busy days, break down your 30 minutes of daily exercise into 10-minute sessions throughout the day to ensure consistency. Track your progress and celebrate your successes. Consult a doctor before beginning your new exercise regimen, especially if you have been sedentary for a substantial period of time or if you are carrying excess weight.